Due to the current weather conditions, Holy Family will be CLOSED on Wednesday, January 22. Stay safe and we'll see you all Thursday! We are looking for judges for our Science Research Competition. The fair will be held in HFS starting Tuesday, January 21. It will run until Friday, January 24th. Judging will take place during school day and in the evening. If you are interested and have some extra time, our budding scientists would be most grateful! 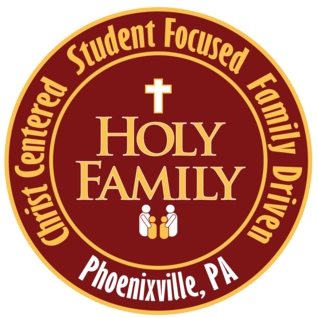 For more information, please contact Mrs.Mary Mizii @ mmizii@myholyfamilyschool.org. Many thanks! Yes! And... Collaborative Arts and Eastern University Theatre‘s Winter Sort of Thing presents "Down with the Crown". For more details regarding this event please click on the title. Holy Family CYO "Night at the Races"
Join us at the Holy Family CYO "Night at the Races" - Saturday, February 1, at 7 PM at Griffin Hall. Doors open at 6:30. Benefits the sports programs for the children of our parishes. Click on the title above to go the Holy Family CYO website where all the details can be found and you can purchase tickets online. Tickets can also be purchased through any Holy Family CYO coach or player. The February Lunch Menu is now available. If you had purchased lunch on January 3rd (snow day), please take a credit in the month of February. Please return the lunch menu to the office no later than January 22nd. Thank You! Due to inclement weather SCHOOL WILL BE CLOSED FRIDAY, JANUARY 3.